Help us light up the New Year for Midvale Elementary, a Title One school, by giving children the gift of yoga. How? Purchase Shanti the Monkey Greeting Cards! 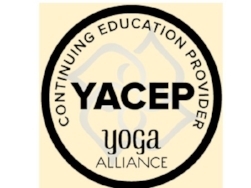 $1,000 in purchases/donations will fund an afterschool yoga program to help children learn to self-regulate, to build focus, and to exercise. 100% funds directly to programming. About the school Midvale Elementary School is a Title I Elementary (80% of students qualify for free/reduced lunches) in Utah. The 800 students create a diverse community, speaking Spanish, Arabic, Farsi, Urdu, French, or Swahili at home. The afterschool program includes a snack and dinner, structured recess and game time, tutoring, activities, and more. Set A: $20.00 Set B: $30.00 Gift Wrap Add $5.00 Add gift card instructions at check out. Book available in English, English/Spanish, and English/French. Includes a CD from "LittleTREE Yoga" and a link for the narrated text in English. Svea Lunøe, RYT, lives in Anchorage with her husband, young son and twin daughters. 12 x 18”. Signed by Svea Lunøe, limited edition Shanti the Monkey prints. Please note in "Note to Seller" which prints you would like when you purchase them.